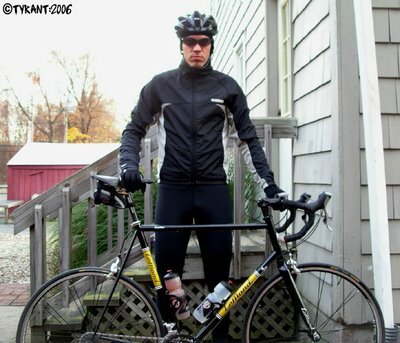 So I headed out this morning at 7 am with temperatures in the upper 20's to put in 60 miles on the road bike. I headed out of Portland, up into Cobalt, East Haddam, Moodus, Colchester, Marlborough, East Hampton, and back home. It was a fun ride and a good workout. Let me tell you, if you dress properly it really isn't that bad out once you get going and your body warms up. I swear by the Pearl Izumi Barrier Jacket! With a base layer and a long sleeve jersey underneath it keeps you nice and cozy!...and we have them in stock at Pedal Power. No need to bore yourself to death indoors on the trainer when you could still be out on the roads!